TDSi is a long-established and market-leading manufacturer of integrated security solutions. They produce a diverse product range that encompasses Access Control Systems, Security Management software, IP CCTV cameras and Video Management Software. With customers around the world, millions of people across many sectors including healthcare, education and transport, rely upon TDSi security systems every day. Excellent customer relations are a cornerstone of their business and, as an ISO9001 accredited company, these are closely scrutinised and monitored to assure quality standards. TDSi has always been good at giving each individual customer the best buying and support experience possible and listening to their customers on a one-to-one basis and its continued growth reflects this. But the company was keen to get a wider snapshot of the views of its overall client base. By analysing and understanding their customers further the company would be able to ensure that future growth and development is in line with the needs of its market. TDSi turned to Zest to investigate and monitor their ‘Voice of the Customer’ through an extensive range of surveys looking closely at TDSi’s customers and their experiences. Consultancy – through the research and detailed analysis we were able to make both tactical and strategic recommendations to the business for future development. One example is that we set up an in-house customer experience team, establishing its roles and key accountabilities. Training – through these surveys we identified where there were skills gaps and provided tailored customer experience training and core coaching to relevant employees. We also provided training to enable the staff to carry out follow up interviews to the initial surveys. In addition we ran a similar exercise focused on the internal customers (staff) as research shows that there’s a direct correlation between the happiness of employees and levels of customer satisfaction. The initial customer surveys achieved a 49% completion rate, and provided TDSi with a wealth of detailed information, giving them an accurate map of their customers’ needs and wants. TDSi wanted to set a benchmark for the security industry and continue to provide the added value that it believes sets it apart from its competitors. Through analysis of the survey results it has been able to recognise where its strengths lie and where there are areas for further development. The information gleaned from the research is shaping the company’s growth, recruitment of staff and future direction. TDSi has enhanced its technical support and internal sales teams, and identified key individuals who are contributing to the success of the business. It has updated and streamlined its internal processes to be more customer focused and hired new staff in key customer facing roles to ensure the customer experience is improved and call wait times are reduced. In addition the positive feedback from customers has been excellent for team morale and the business as a whole. TDSi are committed to growing in the right way with customer focus at its core. 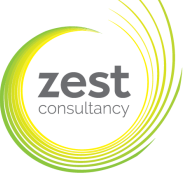 “Working with Zest has given us a true insight into our customer base. The Zest team have skilfully and professionally taken on this sizeable project, taking a leadership role while also sharing their knowledge and experience with us and training our staff so that we can become more self-sufficient in the future. We plan to repeat the exercise soon and regularly thereafter.